This Champion Sports Megaphone will really get their attention! 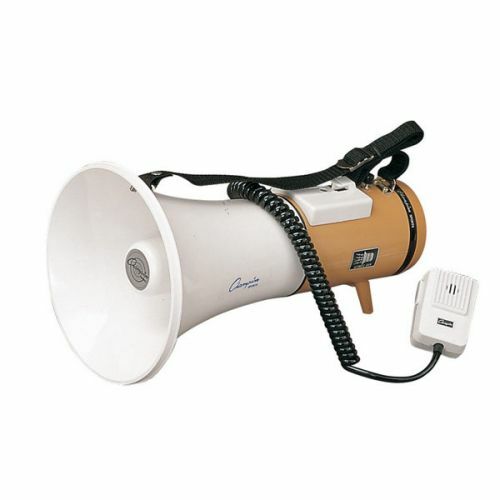 The megaphone has a 1000 yard range and power from 16 to 30 watts. Featuring a hand held microphone, adjustable volume control, powerful siren and shoulder strap, you'll never have to worry about being heard!